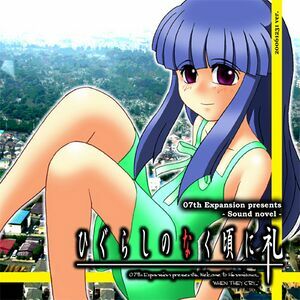 Higurashi no Naku Koro ni Rei (ひぐらしのなく頃に礼, Higurashi no Naku Koro ni Rei?, lit. When Cicadas Cry Gratitudes) is a collection of TIPS added as a bonus disc with Matsuribayashi-hen. It is officially titled When They Cry 2+. In 2009, Higurashi no Naku Koro ni Rei was adapted into a five-episode long anime. This page was last edited on 2 June 2017, at 00:45.